Rick Grimes is in for a surprise as he takes a stroll through a Walker-ridden Atlanta! This Walking Dead Tank Zombie is designed and sculpted by the KNB EFX Group, the same special effects team that creates the zombie and makeup effects for the show. 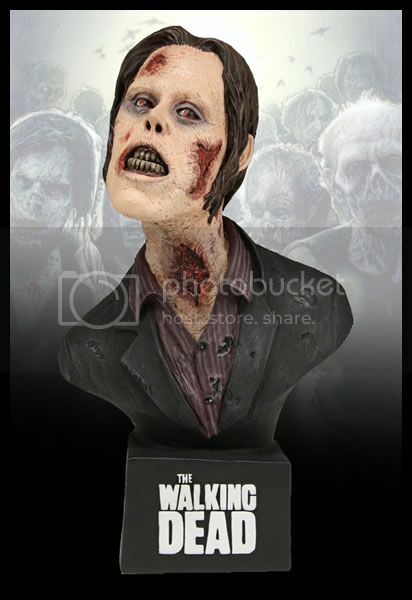 The bust of the Tank Zombie is made of resin, hand-painted, and stands approximately 6 1/2-inches tall.